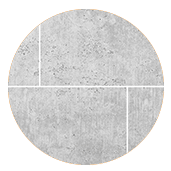 We have worked with all kinds of stone flooring including marble, flagstone, slate, Bath stone, granite, quarry, terracotta, limestone, sandstone, ceramic, basalt, porcelain and terrazzo, to mention a few. We specialise in Amtico, Karndean, Marmoleum. linoleum and vinyl floor cleaning, sealing and restoration. 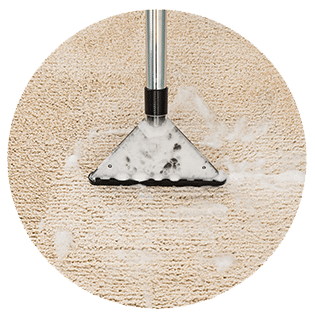 Our cleaning processes are designed to remove old floor dressings, removing years of built-up dirt and grime. 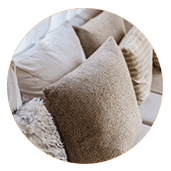 Established for over 16 years, we are undoubtedly the Number 1 carpet, upholstery and rug cleaning company in Gloucestershire and the rest of the South West. If you have a stone floor that has lost its lustre, is ingrained with dirt, or has suffered from neglact, then we can help. As stone floor cleaning specialists Inside Out Cleaning & Restoration Services LTD are experienced in the cleaning, resurfacing and restoring of any kind of stone floor, including slate, marble, limestone, sandstone, geometric, Victorian, Edwardian, quarry, travertine and flagstone and fake flagstones and are often able to return it to its ‘just fitted’ state. Whether your property is a private home, luxury hotel, commercial environment or listed building, we tailor a solution, based on years of experience. Our expertise is not confined to stone floors. 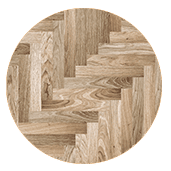 We are experienced restorers of high-quality luxury vinyl flooring, particularly Amtico and Karndean, regularly acheiving staggering results. As professional carpet cleaners, we have also invested in high-tech equipment and use only the highest quality cleaning products. Unlike many cheaper processes, which leave soil-attracting residues, our accredited care ensures that your newly-cleaned carpets stay clean for longer. Craig and his team were fantastic. He was friendly, professional, realistic, and clear in his communications. They came when they said they would and did a brilliant job. The flooring was old and worn with bits missing. Now it looks amazing, and as if it's just been freshly laid. I can't even tell where the missing bits used to be any more, it's been restored so well. A First-Class job from some very professional people. Craig and the team were very hard workers, nothing too much trouble, and they produced an excellent finish. Our drive now looks as good as when it was first laid 20 years ago. Highly recommended. Just had our 22-year-old floors refurbished by Craig and the team. Hard working team. Respectful team. Absolutely brilliant results. I cannot recommend Craig and his team enough. Amazing service and first-class results. I cannot believe I was thinking of covering my floor. They have bought our floor back to life. They went above and beyond to make sure that our floor was perfect. I would highly recommend them. Great restoration work on both the stone floor and wooden stairs/landing. We are delighted with the result and would highly recommend Inside Out. Really incredible service. Just had my parquet restored and Craig definitely helped make everything so easy. My floor was truly awful before but looks pretty amazing now. Thank you for making our stone flooring look like new again! I was really impressed, not just with the results, but with the way everything was handled and the thoroughness of it all. It looks lovely. Craig and the team did such an amazing job on my Victorian floor boards, they feel like new now but still left all the character there. Perfect job, highly recommend. I have been very pleased with the work Craig, James and Jack have done. My hall terracotta tiles floor now zings!! A wooden floor in a bedroom is now a highlight. All the boards have been bought back to life if you are wanting to restore stone or wood flooring choose this firm. Brilliant, after 11 years of heavy use of busy family life with dogs in kitchen etc the result is fantastic. Thank you, Craig and team. Feels and looks like a brand-new floor. Couldn't be happier with the top-quality, professional service received from Craig, James and Jack. The marble floor looks better than when it was first laid with advice given how to maintain it. Also, advice and help given on a table restoration project- something I was new too. I now know how to do it and the table also looks great. Thank you for the floor and the table. Would definitely recommend. Excellent job - floors look fantastic. Conscientious, helpful and focused on top quality finish. Thank you! Thank you, Craig, for an excellent job on our Victorian hall tiles. They have a new lease of life! The thorough, friendly and professional approach right from first contact with your team was refreshing and welcome. We won't hesitate to recommend you. I'm extremely pleased with the efficient and professional carpet cleaning service provided by Inside Out. All the carpets look like new again! James is also very courteous and eager to help in whatever way he can. I'll definitely be using this company again. Highly recommended. Thank you! Thanks to Craig and his team my 400-year-old stone floor has been transformed into a thing of beauty and the parquet floor is fantastic. Great service and fantastic quality. True craftsmanship. If you're wondering what to do with your floor (wood, flagstones or anything else!) then I'd definitely give Craig a ring. Really knowledgeable right from the start, courteous, hardworking and did an excellent job on our penant flagstone floor. Will definitely be using again. Thanks to Craig, James and Jack. We were very impressed with Craig and the team. Craig was a pleasure to work with and they have done a fantastic job restoring our flagstone floor. The result has exceeded our expectations as we had advice from a few other professionals that we would be unable to achieve the result we wanted. Thank you so much for the service and work you provided. We highly recommend you and your team and we will be having you back to do more work for us in the future. Thank you, Craig and James. Our ancient pennant stone floors look so beautiful. You were a pleasure to work with from start to finish. Always prompt and worked very hard with great attention to detail and we are very happy with the results. We will definitely be using your services in the future. Very pleased with the service carried out by Tom and for the good communication we had with Craig. The floor looks amazing now and it has made a big difference to the room. We would highly recommend them. Craig and James - a great job. The stone floor cleaning was a transformation and the wooden tops which you sanded and re-oiled are better than new. Your promptness and attention to detail was appreciated and I would certainly recommend your services. Thoroughly impressed with inside out cleaning and restoration and Craig in particular. He has been informative, prompt and excellent at communication from the quote stage to checking up after the work was completed. we are thrilled with the results on our terracotta tiles. Would not hesitate to recommend and use again. Many thanks. Craig did an amazing job of cleaning and renovating our 130-year-old floor. Completely transformed what was a grimy and broken mess into a floor to be proud of. Couldn't be happier with the quality of the work or the service received. 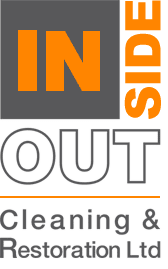 My first good impression of Inside Out Cleaning when booking a visit for a quote was consistently borne out until the completion of the job. My sunroom floor with its rustic Spanish tiles had deteriorated over the years with wear and tear, mould under plant pots etc. They cleaned it thoroughly and I was amazed at the improvement. After a few days to dry off, the team returned to apply at least 5 coats of plant extract impregnating seal. I couldn't be more pleased with the finished effect. Considering the time and quality of attention, the cleaning machinery and high-quality seal and professional service, I felt it was very good value. So I do recommend Inside Out Cleaning & Restoration Ltd! The guys were so helpful from start to finish. Accommodating and polite on the phone from first contact. The carpets came up as good as new and I will use this company again. Highly recommend Craig and team. Thank you, Craig, (James & Shane) My 100-year-old stone floor looks amazing! Craig and his team have been excellent. Craig's in-depth technical knowledge convinced me that I would receive a first-class professional service. I am very pleased with the results and would highly recommend Inside Out Cleaning & Restoration if you are looking to restore any of your tiles. Well impressed with Craig and his team when we look at the pictures of our floor before and after the quality and craftsmanship is clear to see. Now have a floor to be proud of. Highly recommend them! Cleaning and renovation of rugs is another specialism; we use dedicated products and cold cleaning techniques to maintain colour vibrancy and restore their lustre. 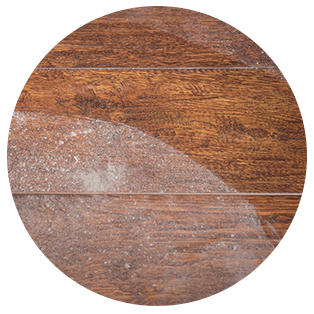 Our wood floor sanding and finishing service not only helps to preserve the lifespan of a wooden floor, but also the unique look and character that it provides. It is a fantastic way of transforming your old wooden floor boards into something worth showing off. We can transform those floors that have been covered with carpet or been painted with lead-based paints, to something of beauty. Our team are always happy to help. Contact us today for your free quote. © 2019 Inside Out Cleaning & Restoration Services LTD.